When I first landed in Ames, Iowa in 2000 to begin my Masters degree in Higher Education, a couple of life-changing events happened almost immediately. First, I met the woman to whom I will soon be married for 10 years. Second, Brian Tenclinger invited me to help advise Iowa State Dance Marathon. I was a Dance Marathon participant as an undergraduate at Miami, but at the time it was a fairly minor event on that campus. At Iowa State, it had positioned itself as among the biggest campus organizations and programs. The decision to help advise them was at first a decision to bolster my fledgling resume. It didn’t take too long to figure out that it was absolutely a privilege and an honor. Brian soon left Iowa State, and I took over full advisorship. I was young and made some mistakes, but the students I worked with were the best kind of teachers – understanding. Together we helped raise each other to higher levels of excellence. To this day, they are still the best undergraduates I have ever worked with. Dance Marathons exist all over the country. The very first Dance Marathon was started at Penn State in 1973 by the campus Interfraternity Council. That year, the participants raised $2,136. Last year, they raised $9.5 million. Other Dance Marathons include Indiana University ($1.8 million in 2011), the University of Iowa ($1.2 million in 2011), and Northwestern University ($1 million in 2011). Most events raise money for the Children’s Miracle Network, but not all. Most also were started and built up by fraternity and sorority students. 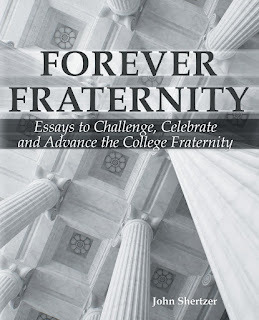 While many have broadened themselves to be campus-wide, fraternity and sorority members still lead the way. There are other similar events that seem to have the same kind of power - such as the Up til Dawn program through St. Jude Children's Research Hospital. It combines fundraising with hands-on service experiences. Dancers raise money for young children in need, and then spend time with them, providing them the experience of a lifetime. There is serious fundraising. This isn’t a penny war. It looks and feels like a charity event you would find in the biggest city. It teaches leadership. There are lots of moving parts (literally), a huge need for organization and teamwork, and the stakes are high. It’s a sincerely compassionate cause. It supports children and their families during their darkest times. And because Children’s Miracle Network hospitals exist all over the country, there is a good chance you can find one close to campus, thereby building a campus/community connection. It’s tough. This is a not a teeter-totter-a-thon. The actual event is grueling, both physically and emotionally. In a world where people feel that wearing an awareness ribbon is enough, Dance Marathon shows participants that working hard for a good cause is worth it. It’s about kids. Because of that, it can warm the coldest heart and make even the most self-centered individual devote themselves to a lifetime of service. It’s an absolute blast. Music, dancing, food, bright colors, kids to play with – what’s not to love? I still remember the kids I met through the program. I was a bit naïve about childhood illnesses, and like many, would turn away when I saw a kid in a wheelchair, with burns on his face, or deformities in his body. But after they let me into their lives, I now look them squarely in the eye and with a smile a mile wide. After all, kids with their courage deserve every smile they can get. 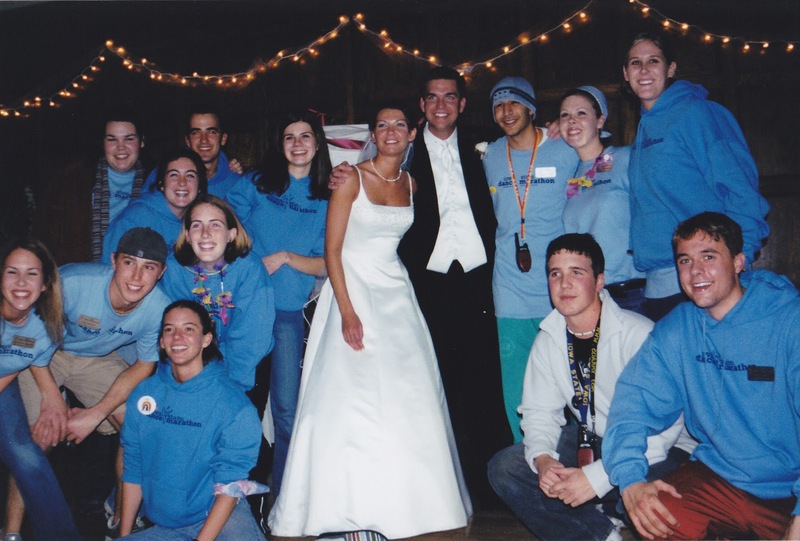 When my wife and I decided to get married in Ames, circumstances caused the date of our wedding to be in conflict with that year’s Dance Marathon. I was disappointed, but of course ecstatic about the wedding. Other advisors took over, and the event was a tremendous success. My wife surprised me by inviting 20 of the student leaders I had worked with to sneak away to our reception and do the morale dance for us. We surprised them in turn by showing up after our wedding, in gown and tux, to cheer them on. That's how much it grabs your heart. Iowa State Dance Marathon celebrated 15 years of success with their event this past weekend. A huge undergraduate and alumni effort resulted in the biggest year ever for the program – by a mile. $380,000 is going to the Children’s Hospital in Iowa City. I would have traded almost anything to be standing in that Great Hall to listen to the roar of 800 students – members of a so-called selfish generation – as those numbers were revealed. Over the next few months, those cheers will be joined by participants across the land, as they dance for kids who sometimes struggle to walk. I remember Caleb, a child who had barely survived a horrific car crash, standing on stage with scars on his head, but not on his soul. With hundreds of college students standing in silence with baited breath, Caleb belted out the most beautiful version of “This Little Light of Mine” I had ever heard. 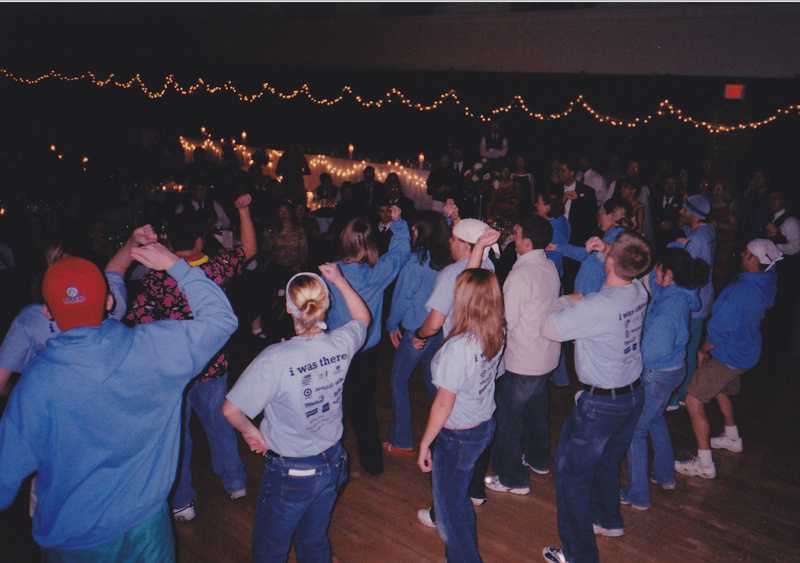 A few fraternity and sorority students, many years ago, created Dance Marathon. And Dance Marathon has created opportunities for kids like Caleb to sing. And dance. And be loved by their “college friends.” It’s the perfect philanthropy. It’s the best of us. For more information on Dance Marathon, visit this website: http://dancemarathon.childrensmiraclenetworkhospitals.org/.